I like linking you guys to this recipe on my bodybuilding.com column on here because, while it’s old, it’s one of my all time favorite! I urge you to try it. Here’s the recipe. Why do I urge you to try it? Because the end product is ridiculous! Super moist and with a bit of (grass-fed) butter, nom nom nom! I especially liked the walnuts in it – always a great addition to banana breads. If you don’t like walnuts though, you could use pecans or macadamia nuts. Or, if you don’t want ANY nuts, you could throw in some poppy seeds or pumpkin seeds or hemp seeds! Just make sure you make this bread. Your tastebuds will thank you for it; I guarantee it. Note 1: We’ve just added some amazing brand new recipes to the iPhone, iPad, and Android Protein Pow App! Along with a Protein Pow FAQ. All of it should go live, as an update, later this week. Will let you know on facebook as soon as that happens. 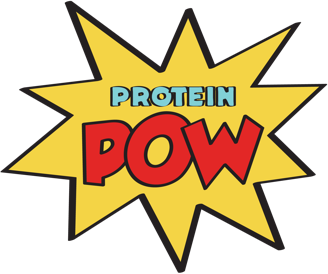 Note 2: Don’t forget to request a recipe at the Protein Pow Request Vault. I’m picking one next week and yours could be the one!